Global nutritional premixes market is expected to reach USD 12,397.8 million by 2023, at a CAGR of 4.0% during the forecast period of 2018 to 2023, says “Meticulous Research”. A nutritional premix is a customized blend where each nutrient component is prescaled and precision blended into premix, which is used in food & beverages, animal feed, healthcare, and personal care applications for enrichment or fortification purposes with an objective of enhancing the nutritional value of the products. The growth of this market is mainly attributed to the growing demand for fortified food & beverage products, rise in consumption of compound feed, growing need for food enrichment due to high processing levels of food products, customized nature & specificity to individual customer requirements, and increasing scale of production of nutritional foods and supplements coupled with rising awareness in food industry. 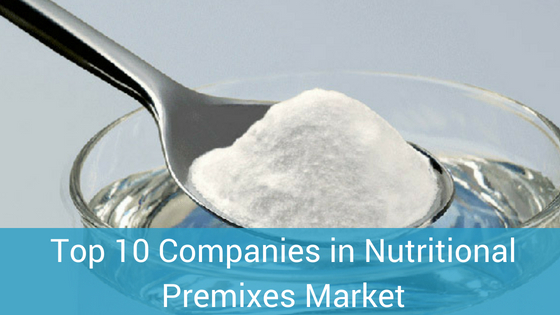 The published report has a detailed analysis of the top 10 companies in the nutritional premixes market which have recently merged/acquired and how will these unions affect the competitive landscape of the nutritional premixes market. 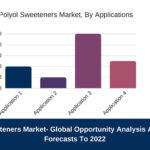 Also, there is an analysis of other important local and global companies having an important role in the growth of nutritional premixes market. Founded in 1902 and headquartered at Heerlen, the Netherlands; DSM (Dutch State Mines) is a global science-based company engaged in sourcing, manufacturing, and marketing of nutritional products and functional materials. The Company offers nutritional premixes developed from vitamins, minerals, amino acids, and botanicals for food, beverages, and dietary supplements. With 13 manufacturing facilities, five innovation centres, and over 40 sales offices, the Company has its geographic presence in North America, Latin America, Europe, Asia, and Middle East & Africa. 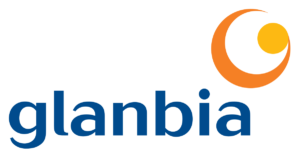 Headquartered at Kilkenny, Ireland; Glanbia plc was formed in 1997 out of the merger of Avonmore Foods plc & Waterford Foods plc. 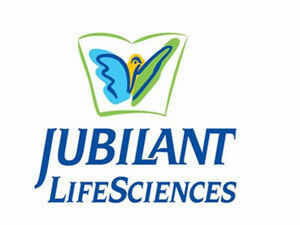 The Company is involved in research & development, innovation, manufacturing, and marketing of nutritional solutions. The Company offers nutritional premixes to food & beverages, supplements & human health, pharmaceutical, and personal care sectors. With the major production facilities in Ireland, the U.S., the U.K., Germany, and China; the Company serves customers in more than 130 countries. BASF SE, originally Badische Anilin-und Soda-Fabrik founded in year 1865 and headquartered at Ludwigshafen, Germany. BASF SE is involved in research & development, manufacturing, and marketing various products for agriculture, automotive & transportation, chemicals, construction, energy & resources, paint & coatings, and pharmaceutical industries. 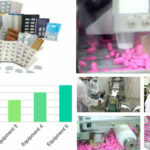 The Company offers nutritional premixes for human nutrition markets including food, beverages, and dietary supplements as well as for animal nutrition. With 13 divisions and 86 strategic business units, the Company has geographical presence in Europe, North America, Asia-Pacific, South America, and Middle East & Africa. 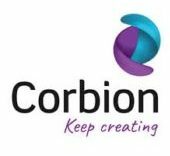 Founded in 1919 and headquartered at Amsterdam, the Netherlands; Corbion N.V. engaged in research & development, operations, marketing, and business support functions. 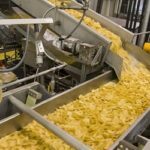 The Company offers nutritional premixes for beverages, confectionary, bakery, dairy, and savory snacks. With the 6 innovation centers, 10 production locations, and 16 sales offices, the Company serves customers across the globe. Founded in 1902 and headquartered at Chicago, Illinois, U.S.; ADM is involved in manufacturing, selling, and distributing food ingredients, animal feed ingredients, renewable fuels, and naturally derived alternatives to industrial chemicals. The company provides nutritional premixes through the wild flavors and specialty ingredients segment. With around 500 crop procurement locations, 250 ingredient manufacturing facilities, and 38 innovation centers, the Company serving customers in more than 160 countries across the globe. 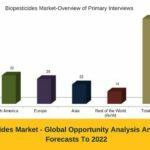 A report into the projected growth of the current nutritional premixes market size and analysis – 2018 by Meticulous Research® has produced some incredible forecasts for the industry. By 2023, it’s expected to have grown at a CAGR of 4.00%, reaching over $ 12000 million. Founded in 1865 and headquartered at Minneapolis, U.S; Cargill, Incorporated is involved in the manufacturing and marketing of food, agriculture, and financial & industrial products & services around the world. The Company offers nutritional premixes for animal nutrition which are marketed under the Provimi brand. With manufacturing facilities located in 70 countries, the Company sells its products across the globe. Founded in 1899 and headquartered at Amersfoort, the Netherlands; Nutreco N.V. is operating as a subsidiary of SHV Holdings N.V. since 2016. The Company is involved in sourcing, manufacturing, and selling nutritional products and services for animal nutrition and fish feed. The animal nutrition segment offers premix products primarily under the Trouw nutrition brand. The Company has its geographic presence in North America, Latin America, Europe, Asia, and Middle East & Africa. Founded in 1945 and headquartered at Paris, France; InVivo Group engaged in manufacturing and distributing agricultural products and services. The Company offers nutritional premixes through premix and firm services, a subsegment of animal nutrition and health. With 72 production units, the Company has its global presence in more than 34 countries across the North America, Latin America, Europe, Asia- Pacific, and the Middle East and Africa. 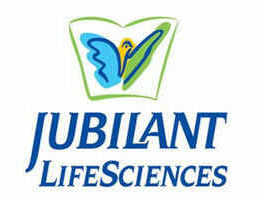 Founded in 1978 and headquartered at Noida, India; Jubilant Life Sciences is involved in manufacturing and supplying APIs, solid dosage formulations, radiopharmaceuticals, allergy therapy products, advance intermediates, fine ingredients, crop science ingredients, life science chemicals, and nutritional Products. The life science ingredients segment provides nutritional premixes for human as well as animal nutrition. With the several manufacturing facilities in India, China, and the U.S. and sales offices in Belgium, China, and the U.S., the Company has its global presence in more than 100 countries across the North America, Latin America, Europe, and Asia- Pacific. Founded in 1892 and headquartered at Apeldoorn, the Netherlands; Koninklijke Coöperatie Agrifirm U.A. is engaged in producing and supplying of products and services for feeding animals and cultivating crops. The Company delivers nutritional premixes through the Nuscience and preconexis brands. With the international network of subsidiaries in 16 countries within Europe, South America, and Asia, the Company has strong distribution network across the globe.